Urban Decay Eye Primer: This primer makes my eye lids itchy, irritated, swollen and red. It takes at least two days for my eye lids to get back to normal. At first I wasn't sure what was going on, but after a few times of using the primer, I noticed that I only got a reaction while using it. I use other urban decay products and they never gave me any kind of reaction, so this is strange. I had to stop using this primer and switched to Too Faced primer. Clinique Acne Solutions Makeup: I am very sad that I can no longer use this foundation. I used it all of last year. The coverage is medium-high and it has salycylic acid to treat any breakouts at the same time. I bought a fresh tube and decided to use it again this year, however, my eyes swelled up after wearing this foundation. I have to admit I wore the foundation for about 8 hours when I noticed my eye area (bellow my eye) itching. The next day I had very swollen bags under my eyes. I assume it was the salicylic acid. I am sure I could use it again, just not apply it anywhere near my eyes. I used to think that an oily face was bad, but a dry face is even worse. Your makeup looks flaky. With an oily face you can atleast use a matifying primer and a matte setting powder. NYX Concealer: This stuff made me break out! 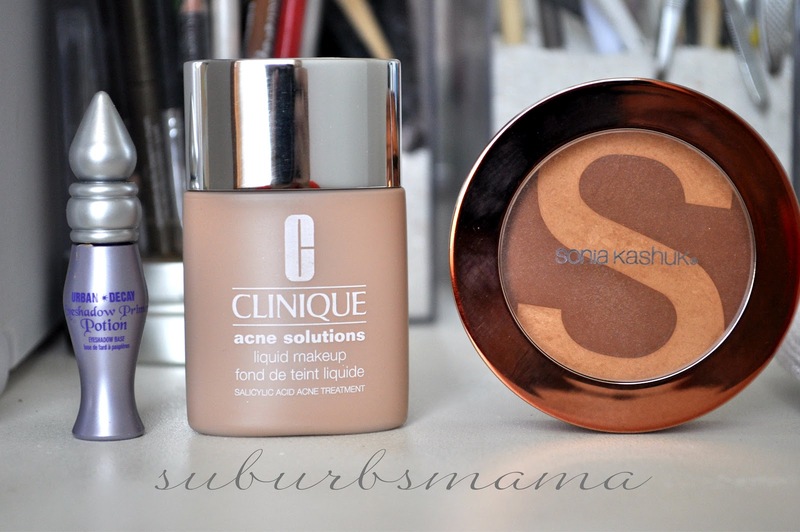 I used it on my hyper pigmentation and the next day I got breakouts in the same exact spots! I read that mineral oil can causes breakouts, and this contains that. So I returned it. NYX foundation: I really don't know what I was thinking, The concealer made me break out, I dont know why I thought the foundation wouldn't make me breakout. But about 2 weeks after I used the NYX concealer, I picked up the NYX foundation. First of all, I couldn't get any of the shades to match my face, but it also made me breakout in small little red pimples. Needless to say I had to return it. Do you have sensitive skin? What are some products you can't use?